Twitter is mad again. 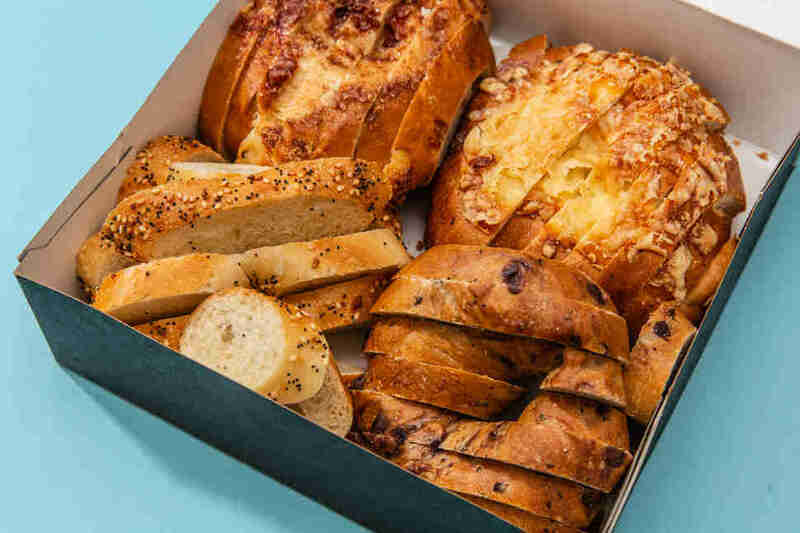 This time, the culprit is a box of sliced bagels from Panera -- but not sliced lengthwise and spread with cream cheese or butter in a way that is considered normal. (Well, it’s allegedly considered normal and a “St. Louis secret” according to the original poster). The bagels in question have been "bread sliced." Yes, that means that they went through a bread slicer, were cut height-wise, and emerged looking more like bagel chips than an actual bagel. Let me be clear, I am not advocating that this is the better way to slice a bagel. I think each deliberate division of a bagel can serve different purposes. I am saying that this method isn’t inherently wrong, and is maybe something you should consider bringing into your life. The biggest advantage of bagel slices is that you can have more than one type of bagel. You aren't forced to stick to one flavor while working your way through the round, chewy mass of carbs and cream cheese. That means you can fulfill your dream of never having to choose between onion, cinnamon raisin, and salt bagels ever again. Secondly, you can use the sliced bagels to more easily make bagel sandwiches. Instead of arguing that bagel sandwiches are bad, maybe we have to take time to realize that bagel sandwiches were just misunderstood all along. Sure, the sandwich might be smaller than normal, and you might have to make more than one to alleviate a sandwich craving, but it wouldn’t be like biting into a carb-y dome with cream cheese gushing out on all sides. It also doesn't require digging the filling out of bagels to make room for everything you want to put in your sandwich. That brings brings me to my next point: Having bagel slices means the ratio of cream cheese to bagel is more equitable, which I have absolutely no qualms with. It's also more surface area to spread cream cheese over, which means a better and more even bite each time. Finally, these leftover pre-sliced bagels can be repurposed to make great bagel chips. They’re delicious after going through the toaster (we tried it), and the leftovers can easily be brushed with butter and garlic salt and transformed into a simple crouton or a great cracker for a cheese plate. 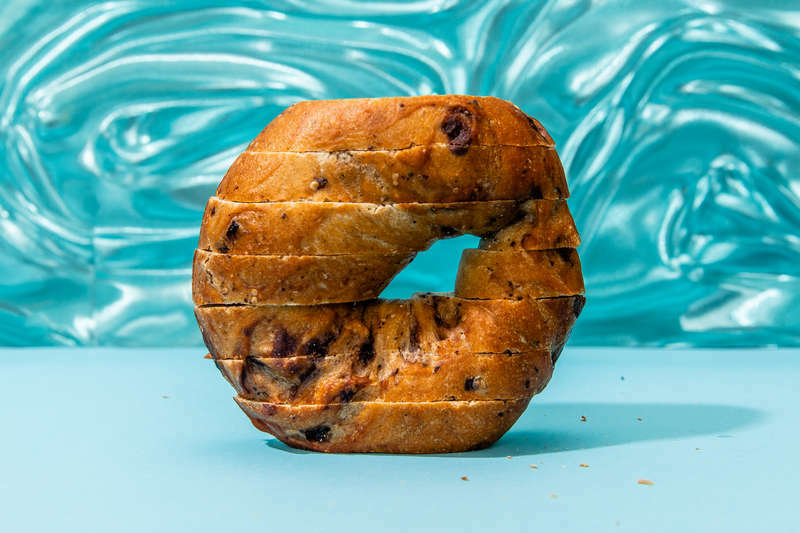 The only real issue I see is if you have one of those fancier bagels with loaded toppings; those, I would agree, are best consumed in their whole, length-sliced form. Otherwise, plain, everything, egg, sesame -- they all would taste great sliced. When I asked the Panera employee to slice my bagel vertically, she didn’t hesitate or look at me funny. I asked her if people ever wanted their bagels sliced this way, to which she replied she’s come across it, but “it isn’t very common.” But maybe it should be. Kat Thompson is a staff food writer at Thrillist. You can yell at her for her bagel take on Twitter @katthompsonn.